Often considered a quintessential video game genre, platformers are actually a relatively recent invention – at least in the span of video game history. Many people consider the 1982 game from Activision, Pitfall, to be the first platforming game. Of course, it wasn’t long after Pitfall’s release that the Super Mario Bros. series would make its debut on Nintendo’s Famicom and become the de facto genre icon. But there are a lot more classics than just Super Mario Bros. And if you’ve wondered what they are, then look no further. In this article we’re going to talk about our 10 top platforming titles of all time. Some are more action heavy than others but all are tied together by the same underlying game mechanics. This 1989 arcade title from Capcom made its way to just about every available system of its time. 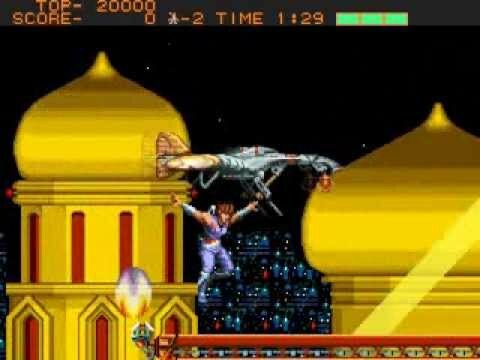 Combining acrobatic, martial arts action with platforming and a storyline ripped right out of the golden age of anime and you get Strider. Hack and slash elements also make an appearance for a game that is truly unique and compelling in a way that only arcade titles can be. The game would even become a prototype for the kinds of multimedia approaches publishers like to take today, spawning a manga and a series of spin-off titles. Coming from PC publishing giant Broderbund, Prince of Persia was one of the first titles to combine Pitfall’s mechanics with complex stages that involved traps and puzzle solving. Noted for its fluid animations and realistic range of motion, the Prince of Persia was not as flashy as its modern incarnations would have you believe. Aside from jumping and climbing the prince could use a sword but, other than that, options were relatively few when it came to dealing with enemies. Still, particularly on the PC, the Prince of Persia is looked upon fondly for being one of those pioneering titles that offered something few others were willing to risk their money on in a published release. Slaying the classics of horror film and literature is the name of the game in Castlevania but avoiding death by plummeting through a gaping chasm is also part and parcel with it, too. The best thing about the platforming genre is that it is versatile when it comes to subject matter it is willing to tackle, and Castlevania is exhibit A in this. Arriving in 1986, Konami delivered a game that happened to be edgy and timeless at the same time – a rare feat. And this wouldn’t be Konami’s only contribution to the genre. 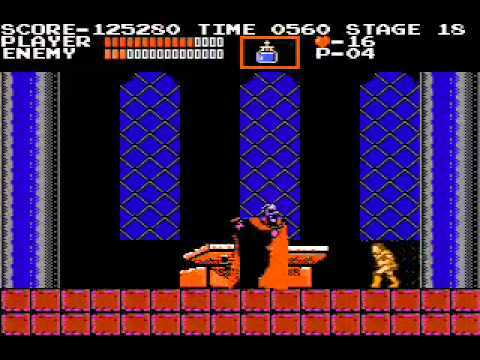 Subsequent sequels to the original Castlevania would expand upon and even incorporate elements from other platforming titles but the core of the game would remain the same throughout. Debuting one year prior to Konami’s classic horror-themed platformer, Ghosts ‘N Goblins from Capcom took a decidedly more arcade approach to the same general themes. 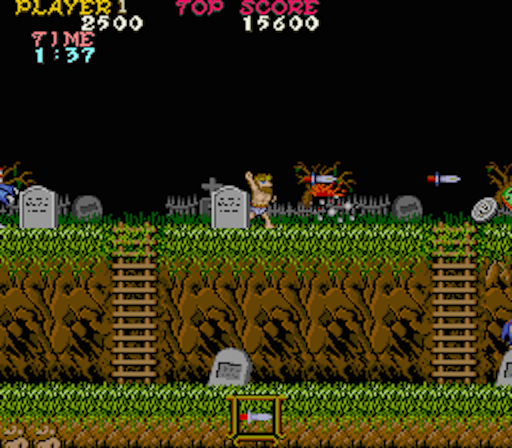 Using mechanics that would later come to be associated with shoot ‘em ups and bullet-hell games, Ghosts ‘N Goblins is probably one of the hardest games on this list, requiring the player to survive its horrors not just once, but twice in order to truly “beat” the game. A favorite of gamers today who like an “old school” challenge, Ghosts ‘N Goblins is a pillar of the early platforming genre and a must-play for fans of it. The first Metroid game pioneered a huge sprawling world for players to explore but the “sequel” that came out for the Super Nintendo in 1994 did everything that title did and more. This game, along with Castlevania: Symphony of the Night, would even give rise to a subgenre called the “Metroidvania” which has more platforming and exploring than any one title on its own. Easily a classic for its effortless mix of exploration, tight gameplay, and a well-realized world, Super Metroid, again, demonstrates just how versatile platforming titles can be in subject matter and presentation. 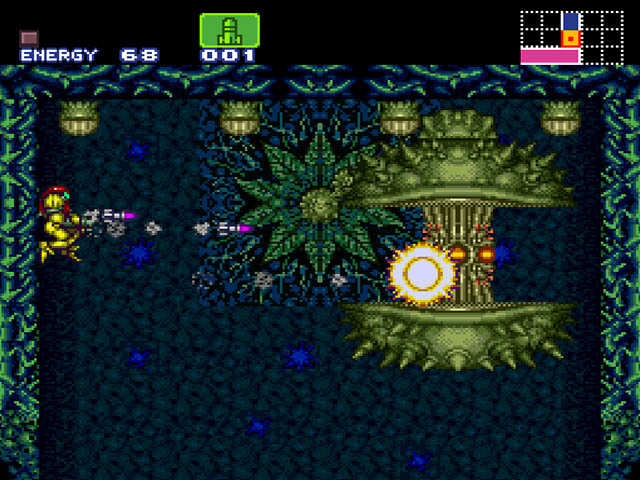 While the Metroid franchise would explore many other ways of presenting its games, Super Metroid remains a touchstone for many fans of the series. 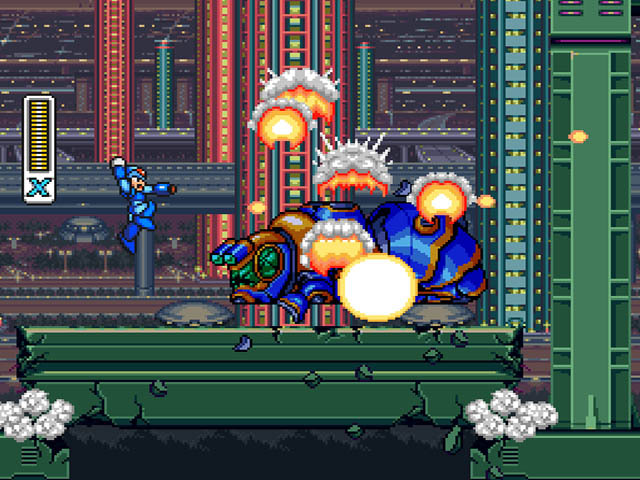 An era of perfecting what came before it, Mega Man X continues the Super Nintendo’s penchant for pushing older NES properties to their logical 16-bit limits. Like the games that came before it, Mega Man X pits you against a cadre of robot masters that are each armed with a special weapon. Of course, one robot master’s weapon is another’s weakness but, to mix it up a bit, Mega Man X also hides armor augments within the game’s levels – which are replayable – to give players that extra boost in the endgame. Much more fast paced than the 8-bit titles, Mega Man X thrust the Blue Bomber into the modern era and did it with a lot of flash and pizzazz. The genre that Mario kicked off in a big way is the genre that Donkey Kong Country came to perfect. Easily one of Rare’s greatest masterpieces, it is amazing just how well Donkey Kong Country has aged. From the graphics to the soundtrack to the core gameplay, absolutely everything about this game remains class leading. Spawning two sequels on the SNES and even more today, the original Donkey Kong Country holds a special place in the pantheon of gaming because it was so unexpected and so perfect that it cannot be ignored then or now. 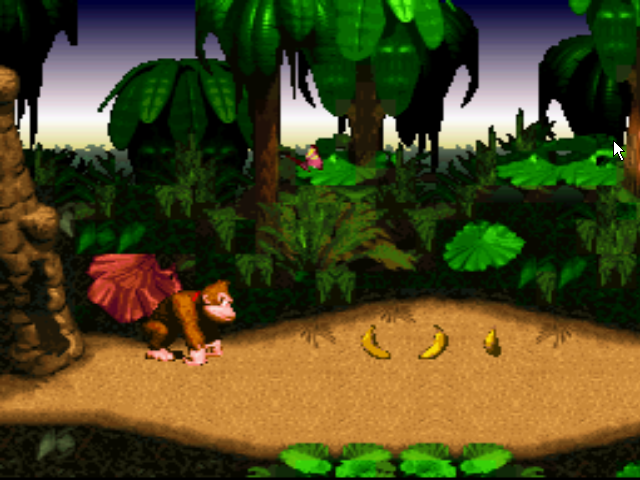 Arriving at a time when most of the industry was looking ahead to the future, Donkey Kong Country simultaneously showed the industry that Nintendo was forward thinking and savvy all at once. Mario’s unchallenged rule was finally questioned in 1991 when Sega’s response to Nintendo’s mascot made his first appearance on the Mega Drive. Catapulting that system into success – and challenging Nintendo’s dominance of the home console market in the sum – Sonic the Hedgehog combined platforming with speed and flash. If you had to look for an analog for the Sonic the Hedgehog gameplay style, think of it as a platforming pinball game. Emphasizing speed over considered jumps and bright, lush graphics over the by-now spartan visuals on the NES, Sonic the Hedgehog delivered a formula for success and transformed Sega’s mascot into an icon on equal footing with our favorite plumber. Activision’s Pitfall Harry is the guy that started it all and doesn’t get enough credit for it. Sure, there might be platforming titles prior to Pitfall but none were as popular or had as much of an impact on the industry. Nearly every cliche of the genre is present and accounted for here aside from powerups. You have running, jumping, exploration, and light puzzle solving. Tough as nails, the one thing Pitfall had going against it was that it was no walk in the park. A challenge by any day’s standard, it’s amazing that Pitfall became as successful as it was given how unfriendly its presentation can be at times. A game not for the faint of heart, Pitfall will put any gamer to test with its challenging stages. The game that nearly everyone associates with the platforming genre – and video games in general, for that matter – Super Mario Bros. is often credited with single handedly saving the industry in the wake of the 1983 video game industry crash. And one couldn’t pick a more unlikely savior for the industry. As home console gamers raised on Pac Man, Space Invaders, and Asteroids were probably more than likely to tell you, a plumber from Brooklyn stomping on sentient turtle-like creatures called koopas in order to rescue a woman called Princess Toadstool was about as unique as they came in the industry back then. But it worked, and made Nintendo rich in the end. Looking beyond just platforming games, however, and we see that Super Mario Bros. also woke the world up to the idea of using video game IP like you would a Disney cartoon or Hollywood film. Nintendo nurtured its franchises and put a heavy emphasis on quality of experience rather than on pure profit. A remarkable feat of gaming even now, Super Mario Bros. evokes that timeless quality that is often associated with a classic but it also offers some of the most solid gameplay still to this day. What! No ‘Metal Slug’ from SNK/NeoGeo … Sacrilege! !